Be the first to live in this Anaha unit. 10-foot walls of glass meet expansive functional design; elegantly situated in the Diamond Head/Ocean corner. Huge layout affords 3 bedrooms & 3 Â½ baths; Chef's Kitchen gleaming with Miele appliances and Studio Becker Cabinets. Amazing one-acre recreation deck and concierge services are included. Every amenity for your luxury and comfort. This is paradise; steps to world class shopping, dining, beaches, and entertainment. Or stay home! Enjoy your luxurious Hawaiian lifestyle! 2 assigned parking stalls, separate laundry room, w/counter & utility sink, and 63 sq.ft. storage room with A/C. The heart of the fabulous glistening Kaka'ako Ward Village of 'Anaha' is waiting for you. Virtual staged photos. 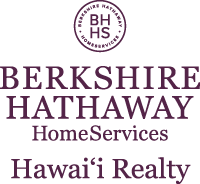 I am interested in 1108 Auahi Street UNIT 60, Honolulu, HI 96814. Sign up for Inside AccessTM to view recent sales near 1108 Auahi Street UNIT 60.